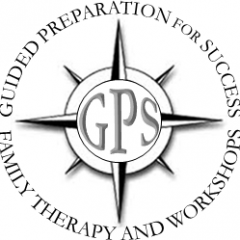 GPS is a series of therapeutic workshops, groups, and lectures for parents and early adolescents in Catholic schools to help them with the emotional and relational transitions into high school and beyond. As we embark on our journey through adolescents, everything changes. Our bodies secrete hormones that make us feel new emotions and put us in unfamiliar situations. Our friendships experience a competitive air and we learn who we can really trust. Our relationships with adults start to shift as we begin gaining responsibilities and independence. In the eyes of our parents, it is pure chaos. GPS is here to help. Founder Emma Jaegle, M.S., Marriage and Family Therapist (Intern #98333), originally created this series for her graduating project. She was inspired by her own experiences in Catholic schooling, and how much of a shock it was to be immersed in reality after graduation. GPS aims to provide emotional literacy in its audiences while educating about inevitable life experiences that can be shameful to talk about. Sometimes we find difficulty adhering to The Bible’s instruction and that, too, can create “Catholic Guilt.” We are here to promote relational authenticity, and normalize the idea that humans are not always perfect. GPS creates a safe, effective learning environment to prepare Middle schoolers for the beginning of adulthood.